RISE, Daily Reflection: Let The One Without Sin Be The First To Throw A Stone. 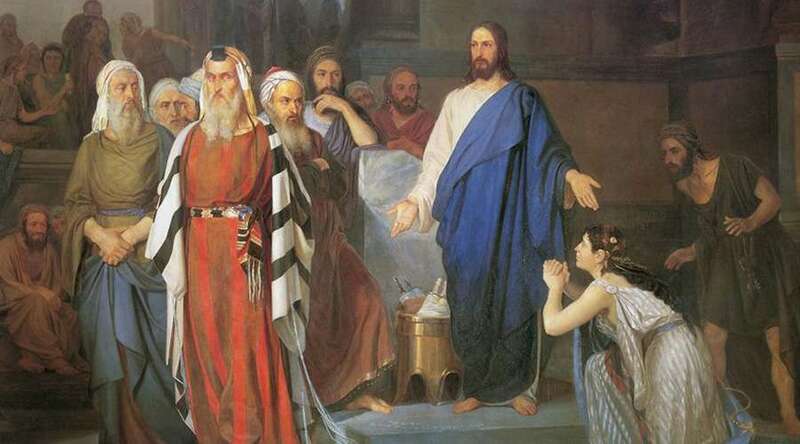 In this gospel we encounter Jesus, who has before him a woman who has been publicly shamed, who has been objectified first by the man (or men) who used her and now by the pharisees as they seek to entrap Jesus. She has been stripped of her dignity and her humanity. No one is truly looking at her—they are reducing her to her sin, and to what she can do for them to accomplish their goals. Jesus is the only one to truly look at her. He bends down to her level and writes on the ground. What he writes, we do not know. Perhaps he is writing something that she alone can see—words from the book of Isaiah, found in the first reading: “Remember not the events of the past, the things of long ago consider not; see, I am doing something new” (Is 43:18-19). Maybe they are the words of God through Hosea who speaks to his wife, the harlot Gomer: “Therefore I am now going to allure her; I will lead her into the wilderness and speak tenderly to her….I will betroth you to me forever” (Hos 2:14; 19). What we do know is that Jesus sees her. He lifts her up. He recognizes her dignity and her woundedness. He restores her, and he calls her to sin no more. Let us give thanks today for the Lord and his mercy to us! Try to spend 10 minutes in prayer asking God for the grace to see yourself the way that he sees you, and to be aware of God’s love for you.